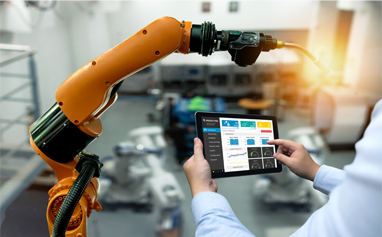 Internet of Things (IoT) is the extension of internet connectivity into physical devices forming a network of including buildings, vehicles, electronics and much more. It helps in enhancing the potential of the connected business as well as home infrastructure. IoT is an integrated solution that offers exclusive services across businesses from scratch to end. Helps devices to communicate and interact over the internet and you can monitor them remotely. 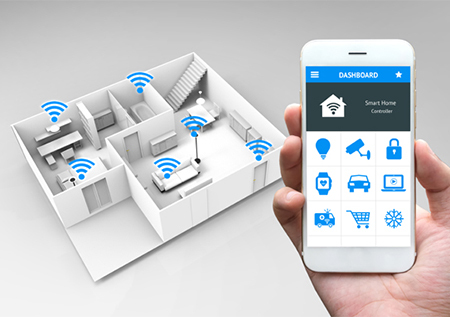 Smart home implementation through custom multitenant platforms authorized with sensual acknowledgment as well as language, speech, and computer vision. Helps to control lighting, climate, entertainment systems, security alarms, and appliances. Wearable consumer devices along with sensors to support your clients in enumerating themselves and surroundings. Web and mobile application are designed for advanced wearables. Healthcare services with customized IoT solutions as per your demand that enhance patient treatment through location tracking, communication proficiencies, and remote monitoring. We provide automation services for Full-featured, flexible implanted intelligent car platforms. Advance connected navigation solutions are provided to breathe automation into next-generation vehicles. All operational network is transformed into industrial networks by our advance IOT services. Our technical advisors guide and provide support to the businesses in the alignment of their security, compliance and threat management to accomplish goals. We support and provide a backbone to the businesses in addressing various challenges to meet the requirements of the modern era. Advance your business efficiency, Cut down support cost, and enhance your network availability with our outstanding solutions along with comprehensive technical support.